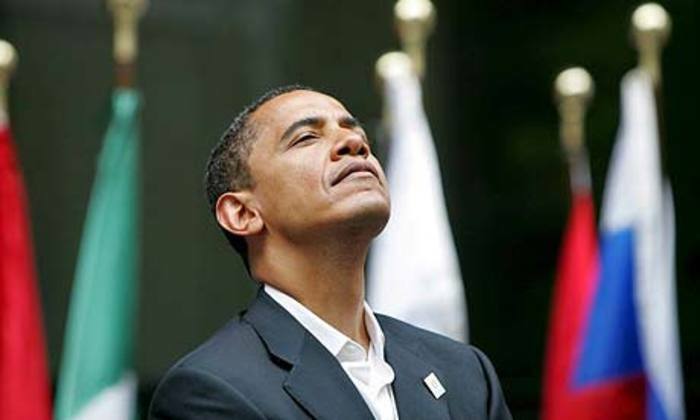 Barack Obama is the phoniest President we have ever elected. Obama can only ridicule his opposition, offer opinions and baseless judgement on legislation he has never read and promise everything while delivering nada! Once again President Obama makes a “policy” speech to gin up his re-election hopes in 2012, with full knowledge that the legislation he promises may never see the light of day. This time our Panderer-In-Chief is talking up “Immigration Reform”, to appease his Hispanic base. Politicians have very short memories and have forgotten how angry the electorate was in 2007 when the Senate tried to ram the Kennedy-McCain-Bush Immigration bill down our throats. This time the voters are even angrier and have shown that they overwhelmingly support the controversial Arizona immigration bill and closing the border first. Obama spoke for over 40 minutes laying out absolutely nothing, offering not even one policy on how to solve the illegal immigration problem. Speeches filled with rhetoric, platitudes and misleading examples to prove his thesis are the norm for President Obama. Once again Barack Obama votes “present” and fails to lead. Bring on your latest legislative challenge Mr. President. Push your Democrats in Congress to try and ram another sham bill down our throats and watch how your party will be trounced in the mid-term elections. The American people are just itching for this fight. HERMOSILLO, Mexico (AP) ― Twenty-one people are dead in Mexico following a massive gun battle between rival drug and migrant-trafficking gangs near the U.S. border. Prosecutors in northern Sonora state say the gun battle occurred in a sparsely populated area about 12 miles (20 kilometers) from the Arizona border. The state Attorney General’s Office said in a statement that nine people were captured by police at the scene of Thursday’s shootings, six of whom had been wounded in the confrontation. What I truly think is “unsuitable for airplay” and potentially dangerous. Well “Cleverlittlemiss”, you have drunk the Kool-Aid and believe what Time Magazine tells you. If it were not for Arizona’s SB1070, nobody would be talking about the border or the flood of illegal aliens into our country. Obama, just like Bush would like to give amnesty to everyone illegally in the U.S.A. to secure more votes for their electoral survival. The Democrats want open borders, no real enforcement and token moves to make it look like the government is doing what it is supposed to do in the Constitution. Seal the border then maybe we can talk about the the next step. The majority of citizens support Arizona’s actions. So cheer this sorry President on, you are one of the few. I am obviously not ‘one of a few’ that support him just like you are not one of a few that do not support him. I just want to see my vote through until the end. I don’t jump ships just because things are tough and they are only tough because our former President and his entourage left them that way. He’s only been the president for under 2 years and has done what he is supposed to do so far. His stance on immigration is actually that illegals must admit that they broke the law, pay taxes and a penalty, learn English, and get right with the law before they can get in line to earn their citizenship. I don’t support illegal immigration but what I hate is that you don’t see a fence being put up on the north side of the U.S., and it is pretty ridiculous to set up a law that is only going to lead to racial profiling—because it will. I don’t know if you know what that feels like, but its awful because some people take it too far without permission. Can you imagine how out of control it could get when officers are given permission? American employers exploit undocumented workers everyday so they are contributing to illegals wanting to get over here any way they can. They undermine American workers and that isn’t the fault of the Obama administration. If anything, I would agree that they are the ones we should be going after. Americans supposedly hate that illegals are here, but take advantage of them to the fullest. I cannot understand why people actually believe that a fence is going to keep illegals out of the country. A border fence isn’t doing anything but wasting money. Have you seen that fence? Anyone with any kind of tool can get through that fence. We should spend the money hiring actual people to patrol the borders and not just get stationed at one post that doesn’t even extend but a few miles. If the end comes around in 2012 for Obama’s Presidency, then so be it but I don’t see how blaming him is a solution to the immigration problem we’ve had in this country for a long time before he was President. I’m surprised I don’t see more comments on your blog. I may not agree with you, but you at least seem to be able to form an opinion for why you believe the things you do.